I came across this poem about twenty years ago and was totally amazed with what is had to say but then lost it, now I have found it again. Considering these words were written in 1871 it’s astounding how much they ring true today, clearly a prophecy if I have ever seen one. 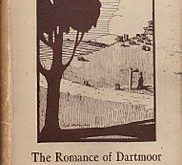 Although the work has nothing to do with Dartmoor I have included it on this website because the message does apply to every hamlet, village, town and city up and down this land. Let’s just hope it finally comes true! The scarlet troop shall ride”.